Dundee United hope to rush through new signing Richie Ryan's registration on Monday morning to play the former Sligo Rovers midfielder against Aberdeen. The Football Association of Ireland is closed until then, much to United manager Peter Houston's disappointment. "We will just have to wait and see how things go with Richie," he said. "It's not ideal that the FAI offices are closed on the first day of the transfer window, but it might still go through." The 26-year-old Irishman has agreed a two-and-a-half year contract with United after captaining Sligo to second place in his homeland's premier division - and beating Shelbourne in the final of the FAI Cup on penalties. Ryan started his professional career with Sunderland but made only two substitute appearances for the Black Cats in England's top flight before moving to Scunthorpe United then Boston United. After suffering a double relegation, he switched to Royal Antwerp then headed to Sligo in 2008, winning the 2010 PFAI Player of the Year award. Now he could make his Scottish Premier League debut for United against Aberdeen on Monday afternoon should the paperwork be completed in time. 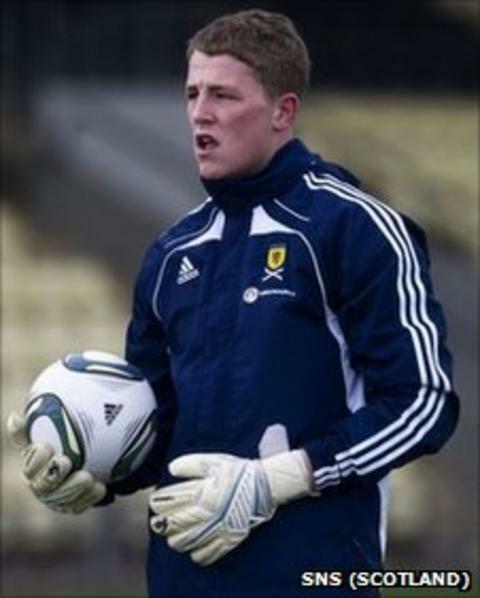 Meanwhile, United goalkeeper Marc McCallum and striker Dale Hilson could be making their debuts for Forfar Athletic against Brechin City at Glebe Park. The pair have joined the Second Division club on loan. McCallum will remain with his hometown club until the end of March, while Hilson returns for a second loan spell with the Loons until the end of the season.